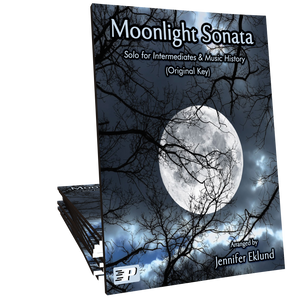 Moonlight Sonata arranged thoughtfully for late-beginning level students of all ages. 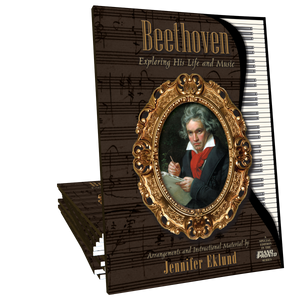 This shortened version of Beethoven’s iconic melody, arranged by Jennifer Eklund, includes music history pages and the easy piano solo version in E minor. So beautiful!! Just a perfect arrangement, not too hard but sounds so elegant. Both my son and daughter love it. I have had a student begging me to play this for over a year but he was still in a lower level. I gave him this with all levels and after a month he mastered the first version and is finishing the second. He might be more ready than I thought. All versions included are worth the time. Very fun arrangement! I can't wait to pull this out with my students! 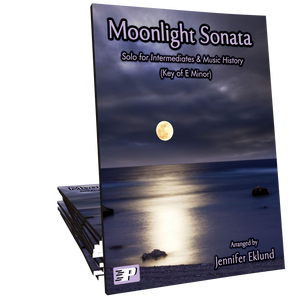 My adult late beginner was over the moon ( ;-) ) with this piece this week. She feels like she's playing "big-league" material. And she is. Thank you! This is awesome! 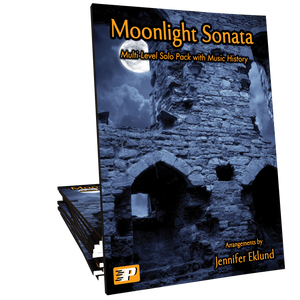 Thank you for this arrangement of a piece loved by so many! 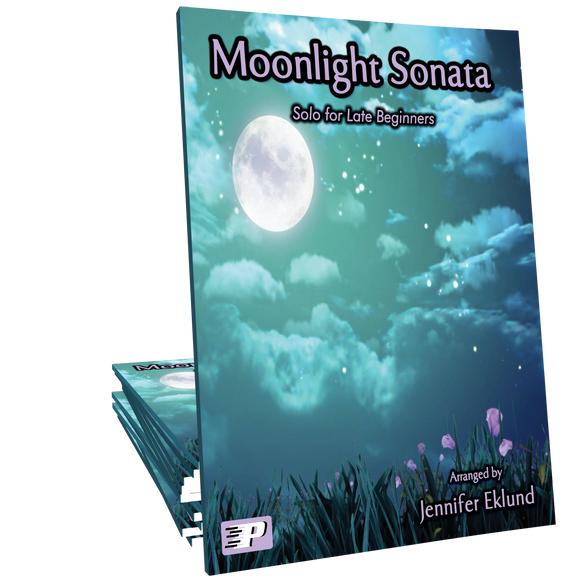 I've had so many requests for this song and now will be able to give it to my 'late-beginner' students - love, love! A beautiful, accessible arrangement of this iconic piece. My student was excited to take this home today! This is a wonderful arrangement for the late beginner. Even though it is simplified it retains the mood and feel of the original. I can see this being a hit with students.